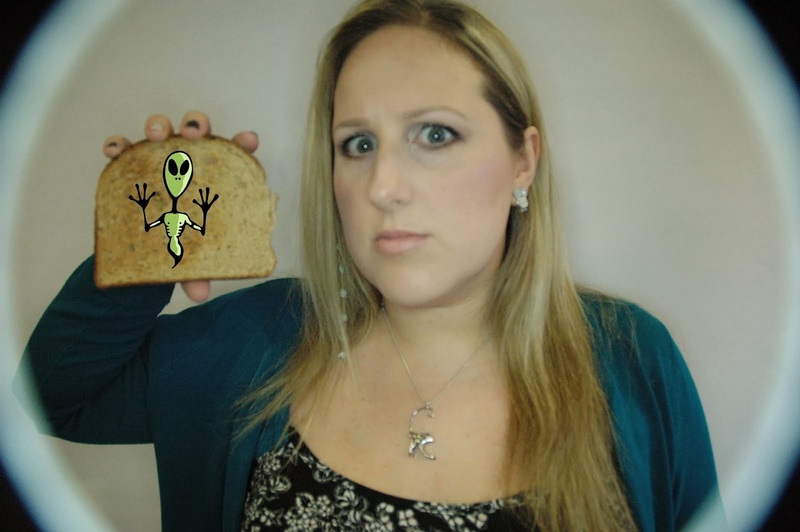 Alien on Toast: I'm off the wagon and I'm hitchin' a ride!! 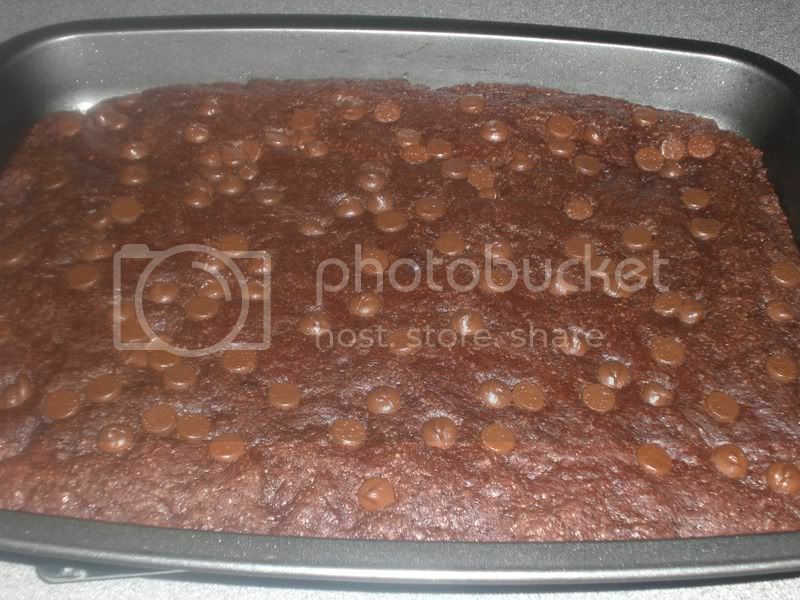 I fell off the wagon - I baked! 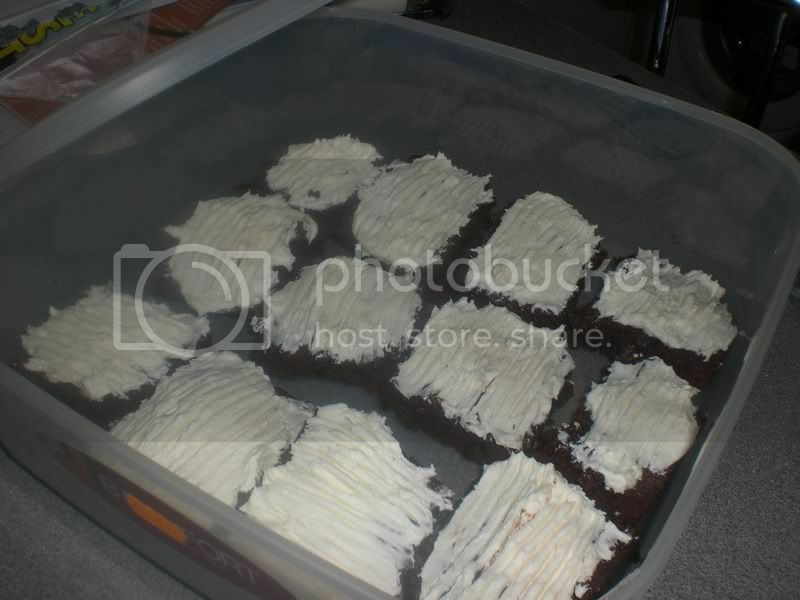 Last night I just felt the need to make brownies and more than that - I felt the need to make brownies and frost them with super sickly butter cream. So that's just what I did. 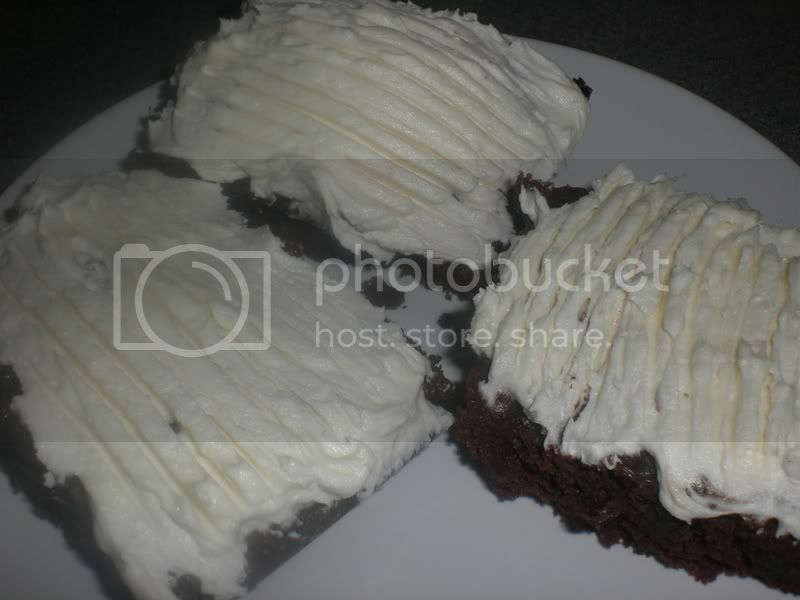 The brownie recipe is from Vegweb (with some semi sweet chocolate chips pressed into them before baking) and the frosting is the fluffy vanilla buttercream from VCTotW (half a batch was a perfect amount). All packed up in a box to take to work (to stop me eating the whole freaking batch!) My workmates polished off the whole box - luckily for me, there was one that just wouldn't fit in - so I had to eat that tonight! Money Shot! Oh and a bonus shot - pizza. This was Sunday's dinner. I dreamt of pizza for pretty much the whole hour and a half it took me to drive home from my friend's house in Banbury. Sad or what? The only flour I had was wholemeal spelt flour so I used that in my usual yeast-free crust recipe and it was pretty chuffin ace - I would definitely use it again! 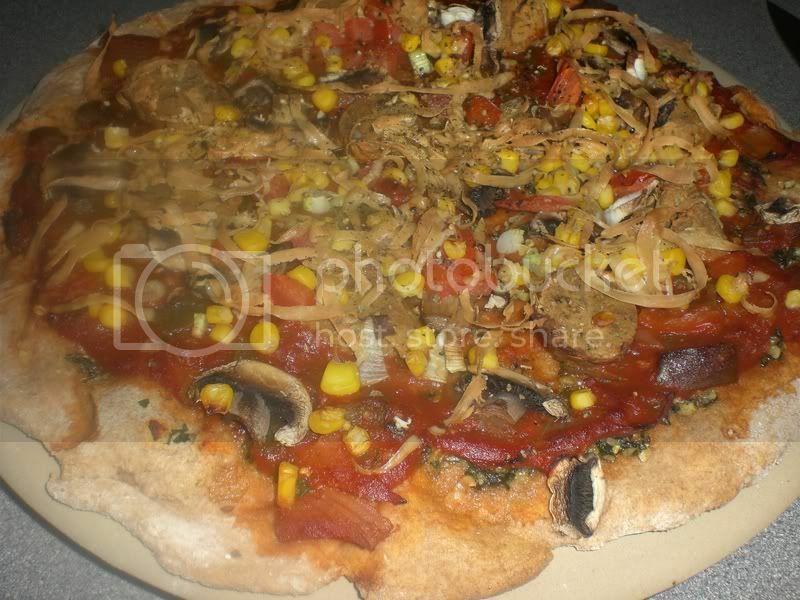 I topped it with homemade pesto, homemade salsa, mushrooms, fresh tomato, sweetcorn, seitan sausages, spring onions and Sheese smoked cheddar. It rocked.